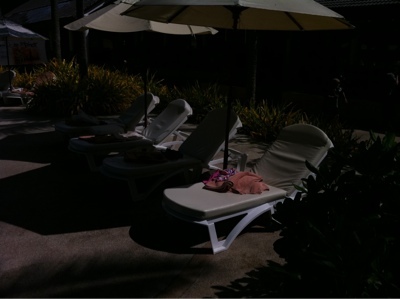 Another strange behavior at the resort is the practice of getting up early and reserving one of the sunbeds by the pool with your towel. I remember one of my English friends complaining about the Germans doing this at the European resorts many years ago. It seems the practice has caught on as they all do it here. It doesn't affect us as we aren't in the type to sit by the pool all day but it stills seems a bit strange.